The products are strictly packed and dispatched safely to the client's stated address and that too in the committed time span. We have with us a well-maintained and capacious storage unit that is facilitated by advanced and automated warehousing system, which is operated and supervised by experts only. 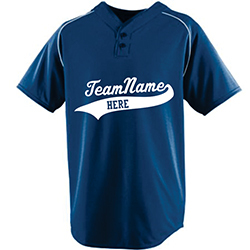 WB-1401 Baseball Jersey is highly soft and comfortable and is available in different designs and sizes.